This map is from the “Mayor’s Street Improvement Committee” in 1943. 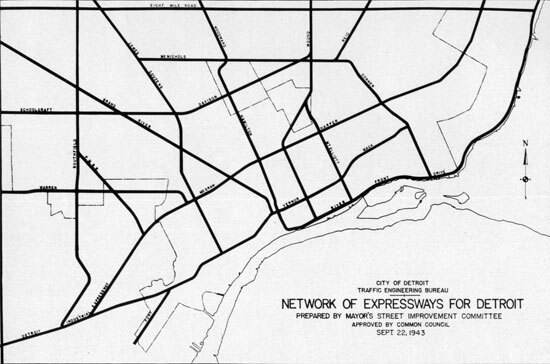 It seems like there are an unimaginable amount of “expressways” and perhaps the term is not being used as we currently understand it. Can you imagine all of these roads existing as expressways?